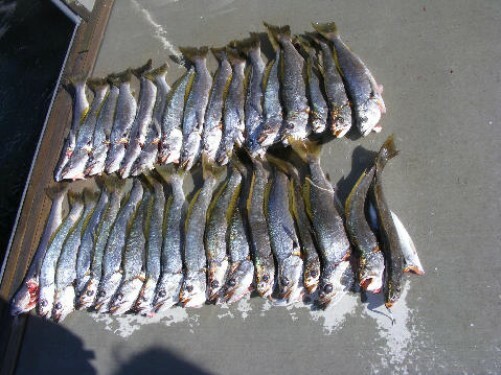 Gold coasts inshore waters hold a large variety of species including Flathead, Bream, Trevally,mangrove jack, whiting, moses perch, flounder, crabs, squid and many more. Various fishing techniques are employed on this tour, including drifting, anchoring and burleying, working around structures, lure spinning and more. Calm water trips are great for the whole family and those that suffer from motion sickness when offshore. We also provide Calm water estuary fishing tours, enjoy the sights of the local area while fishing the pristine waters of the Broadwater and the local canal and river systems. Our calm water boat “Sherwood” is a 26 foot Pro fish powered by a quiet smoke less 240hp four stroke Honda outboard. Both of our vessels are equipped with private toilets, padded seats, full cover for protection from the elements. Come aboard and enjoy a day on the water with experienced professionals who have the time and the patience to assist and guide you. We offer full tuition to help you catch the fish of a lifetime. At the end of the trip we clean the catch for you, you can choose to keep your own fish or share them with other passengers, its entirely up to you. Price: $85.00 per Adult, $80.00 per child. Inclusions: Bait,tackle,morning/afternoon tea, cold drinks, ice water, tuition, walkin toilets. Dont forget to bring your hat and sunscreen. Everyone from first timers right through to experienced anglers can rest assured that we provide a real fishing experience not just a boat ride. 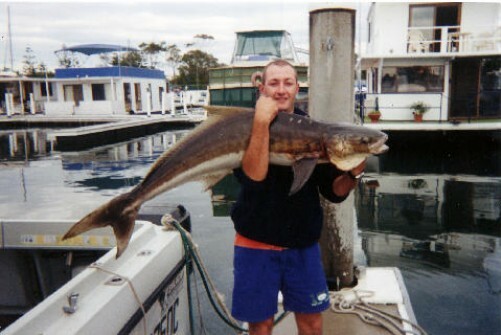 Our highly motivated, experienced owner/skippers are committed to providing the best possible Gold coast fishing tour every time. The gold coast region boasts a large variety of pelagic surface fish whilst bottom dwelling reef fish abound in our semi tropical waters. Species include Snapper, Pearl perch, Jewfish, Marlin, Mackerel, Kingfish, Cobia, Sailfish, Tuna and many more. We are also lucky enough to watch the Humpback whales migrating during the winter months, with whale sightings on almost every tour during this period. Dolphins, sharks, and turtles are regularly encountered and for the bird lovers there is plenty to see too, marine bird life includes Gulls, Terns, cormorants, Sea eagles and the mighty Albatross. Being “mad keen” fisherman we are up to date with all the latest fishing techniques and methods. In addition to our Australian deep sea/reef fishing trips, we can organize deepwater jigging for kingfish, Amberjack and Sampson fish. Snapper fishing trips using mainly “floatlines” which consist of super sharp gang hooks with a very light sinker lowered slowly to the reef. This is a highly effective method used to capture the big “Nobby” Snapper. 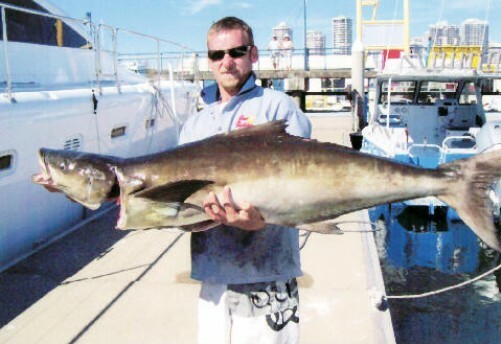 Gold coast Game fishing charters targeting Black marlin, Striped marlin, Blue marlin, Yellowfin tuna, Sailfish, Wahoo and Dolphin fish can be easily arranged. Big Sharks are strong and powerful with the battle sometimes measured in hours rather than minutes, Not for the feint hearted, great for groups where the rod gets “passed around” and everyone shares in the fun, alternatively we can harness you up, and you can go it alone and try to land the beast yourself, its entirely up to you. 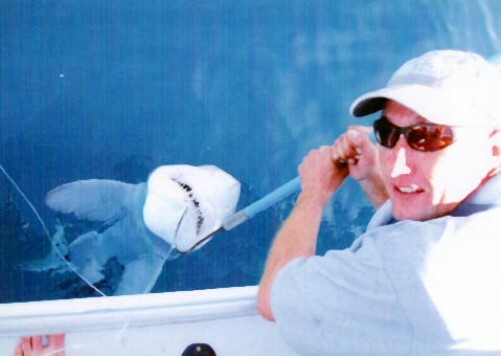 Gold coast Shark fishing charters are a great team building exercise, excellent for Bucks days, corporate groups, birthday parties etc, or anyone that wants to catch and view that big man eater up close. Our deep sea vessel “Alibi” is a 10 metre boat boasting a cruising speed of over 20 knots, we get to the hot spots quick. The vessel is powered by a brand new 315hp turbo charged yanmar diesel, being extremely reliable and fuel efficient. we can go furthur and faster, giving you more fishing time with less travel time.With only ten guests (max) and two crew we wont over crowd you. Our calm water boat “Sherwood” is a 26 foot Pro fish powered by a quiet smoke less 240hp four stroke Honda outboard. Both of our vessels are equipped with private toilets, padded seats, full cover for protection from the elements.